Birmingham was an important manufacturing town with a reputation for producing small arms, and the village’s trade stretched far and wide. In 1637 a London cutler protested against the import of ‘Bromedgham blades’ which were often made of similar standard but at a lower cost. Unlike nearby towns such as Tamworth, Dudley, Hartlebury, Wolverhampton, Coventry, Burton and Lichfield Birmingham had little or no military defences. In 1642 unrest between the Royalist (Worcestershire) and the Parliamentarians (Warwickshire) led to many small battles and skirmishes taking place in the surrounding countryside. The allegiances around Birmingham were blurred with a mishmash of landowners, nobility and gentry all fighting for different sides. The Royalists first passed through Birmingham proper in great force in 1642. The town was mainly Puritan, and some looting took place. As an apology to the town King Charles ordered two of his captains to be hanged, this did not appease the town and some time later a baggage train of the king was captured and delivered to Warwick. With further unrest both sides prepared for war, the smiths of Birmingham were called upon and over 15,000 sword blades were manufactured, these were supplied to Parliamentarian forces only. Kings Norton and Hawksley both acted as battlefields during October, Prince Rupert’s troops were ambushed with many casualties, although both sides claimed the upper hand. A True Relation of Prince Ruperts Barbarous Cruelty against the Towne of Brumingham. In March 1643 Prince Rupert in command of about 1,900 men requested entry to the unfortified town which was refused by about 200 towns folk and a company of Roundheads from the garrison at Lichfield under the command of Captain Richard Greaves. The Battle of Camp Hill started with a direct assault by the Cavaliers on the earthworks at Camp Hill, after being twice repulsed the Cavaliers captured the earthworks by launching flanking attack with their cavalry. The Cavaliers pursued the fleeing townsmen into Birmingham where they came under fire from some houses, which they torched. At the far end of the town at #CapeHill at #Smethwick on the border between Warwickshire (#Birmingham) and #Worcestershire at#ShirelandHill the Roundhead troopers charged and successfully checked the #Royalist Cavaliers, killing their officer William, Earl of Denbigh, and allowing Greaves and his men to retreat unmolested back to Lichfield. The laws of war at that time allowed for the burning of property in an undefended (unfortified) town of village if soldiers were shot at from those properties. Those houses from which shooting was thought to originate were set on fire by the Royalists, the inhabitants of whom were not allowed to quench the fires or to recover their movable possessions. About 80 houses were “burnt to ashes” (some of which belonged to Royalist sympathisers), and some 15 men, and two women were killed, with many more wounded and left destitute. King Charles rebuked Rupert for his men’s behaviour — the prince had in fact done his best to curb his men … but the damage was done: Birmingham had paid the price for supporting parliament and being seen to profit from it”. Birmingham, continued to manufacture weapons of all kinds during this period and was heavily relied upon by Parliamentary armies such as the#NewModelArmy for such wares. It remained on the borders between the largely Cavalier garrisoned Worcestershire which still has its #Royalist #Commandery in the#CityofWorcester and Roundhead garrisoned Warwickshire. He and his garrison actively raided into Worcestershire during the First Civil War. Perhaps his most famous exploit was a commando style raid on#Bewdley which resulted in the capture of Sir Thomas Lyttelton its Governor. By the last quarter of the 1600’s the population of #Birmingham was somewhere between 4,000 and 15,000. Birmingham’s small arms manufacture continued during the mid-to-late 17th century. Birmingham smiths were renowned for their manufacture of quality weapons. Alexander Missen in his Travels on visiting Milan noted that “fine works of rock-crystal, swords, heads of canes, snuffboxes, and other fine works of steel” could be purchased in Milan but that “they can be had better and cheaper in Birmingham”. There is no evidence that firearms were manufactured in Birmingham until the 1690s when the Office of Ordinance issued a warrant to “pay John Smart for Thomas Hadley, and the rest of the Gunmakers of Birmingham, one debenture of four-score and sixteen pounds eight shillings, dated ye 14th of July 1690”. It is more likely that Sir Richard Newdigate approached manufacturers in the town in 1689 with the notion of supplying the British Government with small arms, it was important that these #Guns would need to be of high enough calibre to equal the small arms that were imported from abroad. After a successful trial order in 1692, the Government placed its first contract. On 5 January 1693 the “Officers of Ordnance” chose five local firearms manufacturers in #Birmingham to initially produce 200 “snaphance musquets” per month over the period of one year, paying 17 shillings per musket, plus 3 shillings per hundredweight for delivery to London. 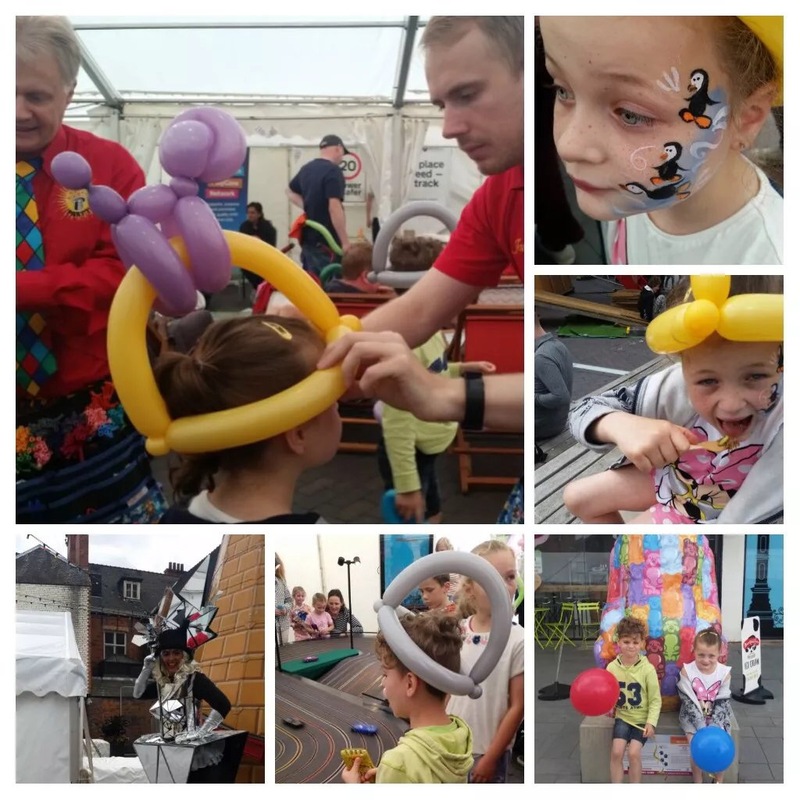 Over the course of this weekend the Jewellry Quarter Festival is happening. As well as plenty of fun family activities it is also an opportunity to visit lots of the jewellery houses to see behind the scenes. We took 6 year old twins Theo and Alexis and hoped the rain would stay away. 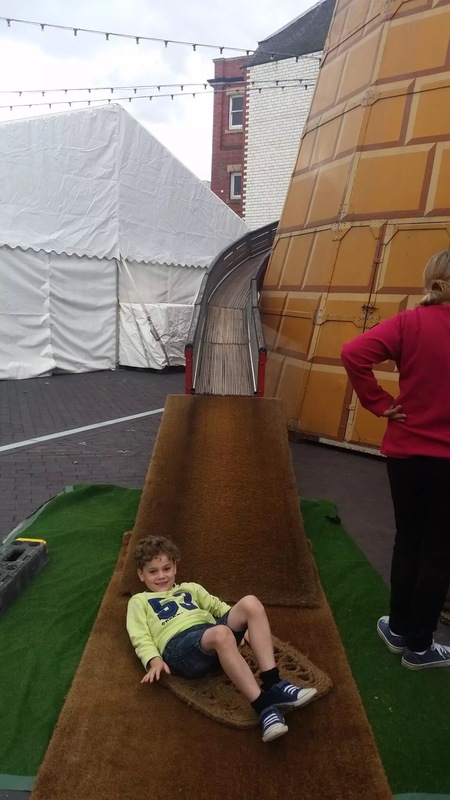 The twins had a few visits to the helter skelter, it proved to be a firm favourite and Alexis wanted me to join her for her very last go, so being a good grandmother I braved the very steep stairs and we whizzed down whooping. It was a lot more fun than I remember it being from my childhood. The Big Sleuth, a story of a bear hunt. Source: The Big Sleuth, a story of a bear hunt.